Variety is the spice of life and it also makes for a great looking accent piece as well. 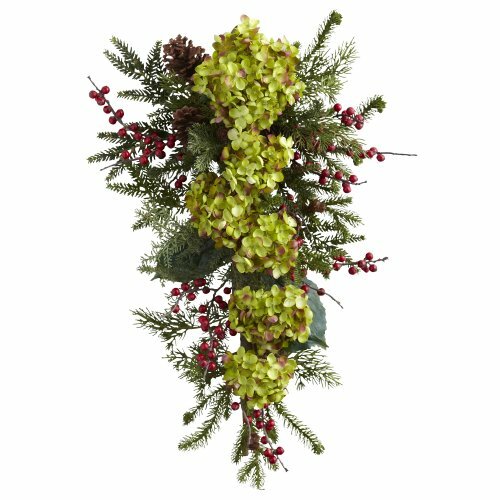 This incredible Hydrangea reproduction cascades downward in a waterfall of beauty, surrounded by pine sprigs, stalks and berries that complete the astonishing look. This piece looks great on a mantle, counter, table, on a wall, or anywhere else (use your imagination.) Plus, it'll never dry out and never needs water. Pre-Lit Holiday Hydrangea Teardrop Christmas Swag - 28"